If you are planning a little get together for your kids to celebrate Valentine's, I got a cute and simple idea on how to decorate the dessert table, along with some cute valentine's gifts too! The first thing that I always do when styling a party, is that I find the main idea or a main inspiration that will be leading me to make my table look pretty! In this case, it was Julia's work! Her Etsy shop is full of so many cute things and I found exactly what I needed there, the cutest sweetheart candy banner! The banner was the color inspiration as well, so I decided to use a tassel garland with those colors plus I added the silver color. You can check out Julia's work here. 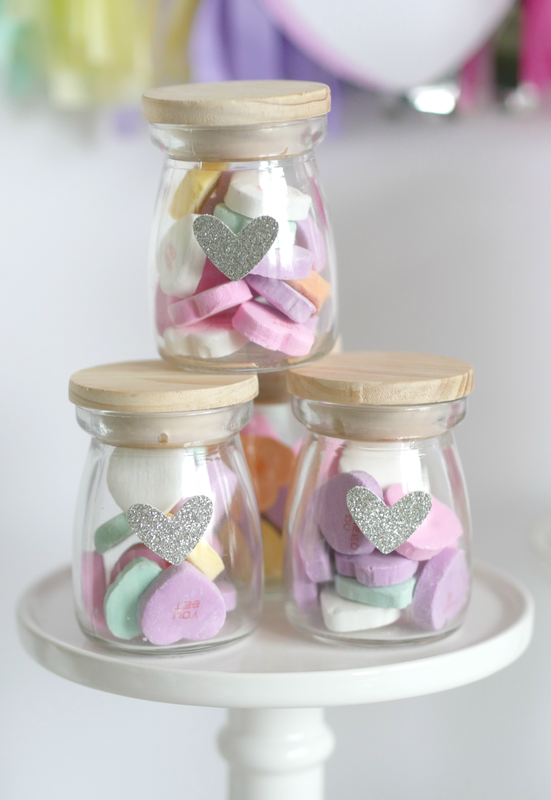 As the main focus on my table, I used a clear jar filled with cotton candy! I bought two different colors and I layered them. I also cut out a silver glittered heart and attached it to it. Next to it, I stack some small bottles filled with heart shaped candy and I also added some hearts. As for desserts, I ordered a very simple but cute cake, some cookies and last but not least some cupcakes. I ordered all from Latin Bakery Austin. Johana, the baker, did an amazing job! As for the place setting for the kids' table, I got some cute plates, milk jars and a fork to eat the cake. I dressed up my milk jars with some washi tape and a glittered silver heart to tie in the silver color. As for the napkins and forks, I got them from Julia and you can also get them here. I also made some fun centerpieces for the table, I used a clear candy jar filled with cotton candy and I just put in these fun cake toppers. Yes, you read it right, cake toppers! You can find them here. 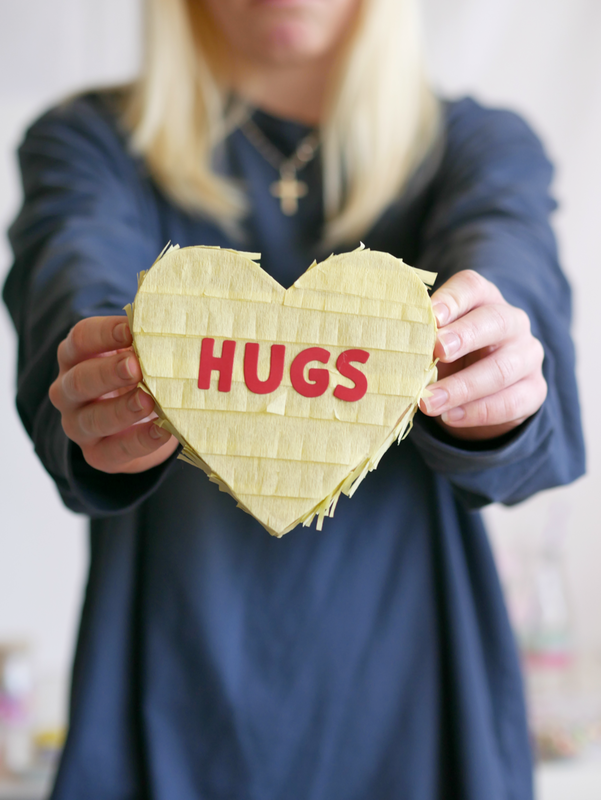 I also wanted to share some ideas that you can use as Valentine's gifts for the kids' friends! Like these Glow in the dark bracelets, a cute mini heart piñata and why not, a cupcake! Hope you all liked this easy set up for your kiddos, I bet they will love it!! If you haven't signup to get my newsletter, please do so right at the bottom of the page. I have some fun giveaways coming up but only for subscribers.